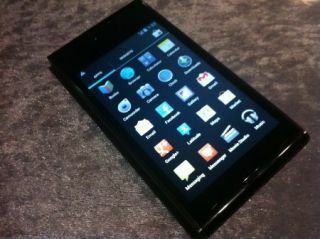 Lumigon T2 smartphone in pictures | What Hi-Fi? The Lumigon T2 smartphone is a high-end Android 4.0 handset, with a stylish design, Band & Olufsen ICEpower sound and universal remote functionality. It can be programmed to control any infrared device, from TVs to home cinema kit to the Apple TV, while there's a dedicated app for B&O products. A 3.8in widescreen display, Gorilla glass screen and a straight edge for standing on its side are some of the smart design features.